A friend of mine sent me an email comparing aspects of our today's life with the life 100 years ago. I am posting it here. Have a happy new year all of you who read me and also all of you who do not read me. 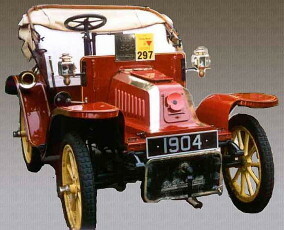 year is 1904 .. one hundred years ago. What a difference a century makes! populous state in the Union. The tallest structure in the world was the Eiffel Tower! . mechanical engineer about $5,000 per year. by the government as "substandard." Alaska hadn't been admitted to the Union yet. Two of 10 U.S. adults couldn't read or write. 100 years . it staggers the mind. He was definitely one of the most influential writers for me. He was really prolific. He wrote about science, science fiction, history, religion. He wrote novels, short stories, essays and textbooks. In everyone of the books I read I could see a message, a message which I identify with. He saw the future in a way few people have done. He created the 3 Laws of Robotics which now seem logical for the development of robots. 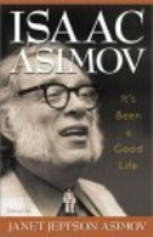 Isaac Asimov's novels show us a fantastic and real universe at the same time. Humans behave as they always have, but they can travel to and from the stars. They can jump from planet to planet, however the politics, philosophies, religions are similar to ours. You can see an internal debate, which I am sure also went on in his mind, about what is more important, the individual or the society. He shows how can different concepts could be positive or negative, depending on the perspective of the observer. Civilizations rose and fell in his novels, just as it has happened in real history and as it probably will continue to happen in the future. I am not a physicist, but I will try to explain what I understand of it. If there is any scientist over there that wants to give me some help in explaining this he or she is welcomed. This law states that thermal energy (heat), is special among the types of energies. All the forms of energy can be converted into heat, but in a way that is not reversible. It is not possible to convert the heat back fully in its original form. This essentially means that in each reaction, there is some energy that is going to be lost as heat without converting into another "more useful" form of energy. This unusable heat is characterized by the random motion of molecules. The second law says that the amount of random movement(entropy) can only increase in a closed system. Being the Universe a closed system, the law says that entropy will always increase in the Universe. This means that the random motion will only increase with time. After billions of years the possible scenario is the even distribution of heat (random motion) throughout the Universe. Many people have tried to imply that the evolution contradicts the second law of thermodynamics. The Earth is an open system, receiving continuous new energy from the sun. The only way that life has been getting more complex in our planet as time passed is because the energy dissipated by the chemical reactions of life is replaced in excess by the sun' energy. I was apalled by the incredible death toll of the last tsunami in the shores of the Indian Ocean. I just find very hard to imagine the level of destruction. I cannot imagine myself in a situation like that. I guess it is a reminder of the power of the forces of nature and of the need for cooperation between countries. 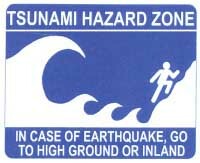 In this case what is needed for the future is an alert system, like the one that exists in the Pacific Ocean. 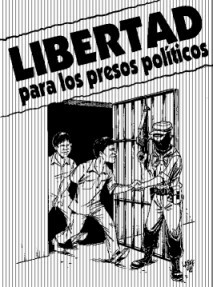 The whole situation reminded me of what happened in Peru, my country, May 31st, 1970. Due to an earthquake, a huge block of ice fell from a mountain into a lake. The lake overflowed and a gigantic avalanche covered up an entire town. The remians of the town can still be seen. I highly recommend this book. If you start to read it, please finish it, do not let your own paradigms stop you from finishing it. I am currently training to be a nephrologist (kidney specialist). 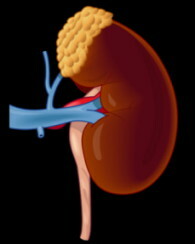 The kidney is probably the most complex organ of the whole body with respect to its functions. My goal of writing something about it here is to show that this organ is much more than a "pee-maker". If I see that people like what I write and become interested, I will post more information, basically answering questions. This and following posts are not intended to give individual medical advise, that is the job of your personal doctor. - Participation in the maintenance of a constant extracellular environment for cells to function adequately. - Hormone production and secretion, mainly to regulate blood pressure. - Degrades some proteins and synthesizes glucose. - Filters 180 liters of blood everyday. - Senses the amount of hemoglobin we have in the blood and sends signals to stop or increase blood production. - Receives 20% of all the blood flow of a person in a resting state. - Consumes 7% of all the oxygen of a person in a resting state. Post your questions in the comments section to see what my next post regarding this topic should be about. Remember thet I will not give individual medical advise. To my surprise, I have started to see that religious conservatives want to "offer alternatives" to evolution. For some reason, they dislike evolution and when they do that they also show contempt for the science that lead into the development of the theory. What is somewhat encouraging is that, apparently, they have tacitly acknowledged that creationism cannot survive in a well informed world. Intelligent design is creationism that tries to show itself as science. It is exactly the opposite to science. The word science has a Latin origin that means knowledge. It is knowledge acquired , to describe nature, to improve our living conditions and sometimes to beat our enemies. 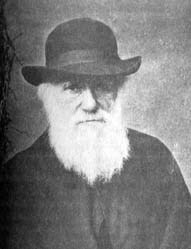 When Charles Darwin proposed the theory of evolution in his book Origin of Species, he did it based on observations he had made for years. Natural selection is a phenomenon that is seen all the time. Whenever a bacteria develops resistance to an antibiotic, whenever an insect develops resistence to a pesticide or whenever a population of birds changes its color to be more protected from predators we see natural selection. Evolution is just the appearence of new species based on it. Since the species that exist now, are not the same that the ones which existed 5 million years ago, we have to conclude that there has to be a process that leads into the formation of these new species. Natural selection is the strongest candidate. Intelligent design appears in order to contradict evolution, not to describe nature, so it is not science. It is interested, it has an agenda. It implies that a superior (intelligent) being created the complexity of the Universe. It want as to keep gods in our mind in view of the dying creationism. Thanks, Francesca, for your reply. I am posting my reply as a new posting. I love this subject as you can see. In Spanish, we still call the pope "sumo pontifice", which comes directly from the Latin "pontifex maximus". That title was the one used by the maximum religious authority. Julius Caesar was elected pontifex maximus in 63 BCE. This could be argued was one of the first steps on Caesar's accumulation of power that reached its maximum when he was appointed Dictator in 44 BCE. At that moment he was "de facto" an Emperor because he had religious, political and judicial authority, far more authority than the Senate. Caesar was not friend of the Republic and that was probably the reason why he was killed. "Pontifex" comes from "pontem faciens" which means "bridge maker", probably referring as the one in charge of communicating with the gods. In 382 CE, The emperor Gratian leaved the title of "pontifex maximus" to the bishop of Rome named Siricius. Since then, the "pontifex maximus" was the bishop of Rome and not the Roman emperor. 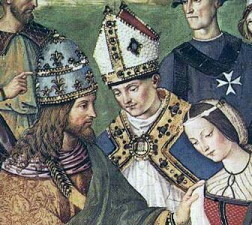 In 610 CE the Eastern Roman emperor, Phocas, addressed the bishop of Rome (or pontifex maximus) Boniface IV as "pope" for the first time. I personally believe that we should know why we do the things we do. That is why I love history. It tells me so much about what I presently am. I was born and raised Catholic and for years I believed what I was told and practiced religion as I was taught. I had the notion that all we did as part of practising religion came directly from God and was ordered by Jesus after he "founded" the Church. As time passed and to my surprise, I noted that things were not as I was told. Many practices that were supposed to have started with the establishment of the Church, were not so. 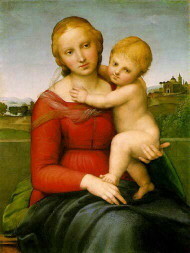 - Mary as "Mother of God" was initially proclaimed in the Council of Ephesus, 431 CE. If Catholics want to really know their own religion I encourage them to go and look for their own history. And this is true for all religions. 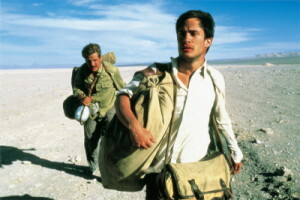 Seeing "The Motorcycle Diaries" reminded me much of my own trips inside my country. I did not travel for months like el Che, but I saw many of the things he saw. I got to do several 2-week trips whenever I had vacations in medical school. And most of the times I travelled with a friend, as Che did. I had very little money and I got to experience hospitality. People there will never let you leave a place without eating. They do not ask for money. They are poor, but do not hesitate in giving their own bread for the visitor. As a person born in the capital city, I got to respect the people who lived in the mountains. The impossible geography made me understand how difficult communications can be. Roads are built every year, but the mudslides destroy them in the following rainy season. Deep canyons, 6000 m (20000 feet) mountains, vast plateaus, no oxygen. 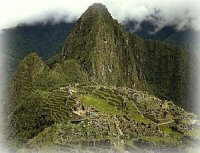 Furthermore, millenia of history watch you as you visit the Inca roads, the old temples and fortresses. Machu Picchu is just fantastic, but it is not the only one. The country is just an open book. While I travelled, the Shining Path guerrilla was terrorising the people. I saw abandoned fields, abandoned towns and lots of fear. I had to speak in English with my friend so that people do not understand what we were talking about. If you would like to see Latin American scenes from the 1950's, if you would like to see Machu Picchu for a couple of minutes, and if you are sensitive to social injustice, go and see the movie. You would not be disappointed. 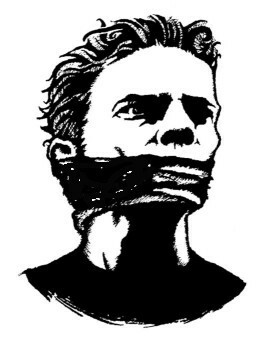 I have recently found out that my blog has been censored in the Islamic Republic of Iran. Or at least it is under observation, "pending for approval". I have a friend who, when she wants to log in, she obtains an old version of the blog, probably stored in the her temporary internet files or cookies. When I gave her a direct link to any of the new postings, she could read them, so I think thre an external source controlling the access to the main page. I might be mistaken, but if I am not, I would like to tell the ayatollahs that they should be concerned about more critical stuff for the development of their nation and that I am very interested in what my fellow friends form Iran think about my postings. So if the access to my site has been restricted, I ask them, please, to remove the restriction. Response to a comment to "Prisoners"
Thanks for commenting about my post. I consider your comment so important that I will place my response as a new post, basically because it gives me freedom to put some links. First of all, predestination is not involved in the theory I tried to explain. 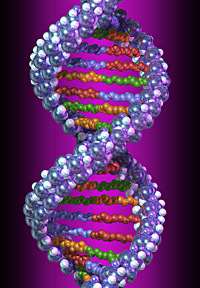 Our genes form us, that is a fact, they do not give us a destiny. Genes are just instructions to build proteins. That is why I carefully used the verbs "to order" and "to dictate". A gene is not an intelligent being so it cannot "want" something. I understand the use of the word "outlandish" because many people will find the concepts I used as bizarre since they are not familiarized with molecular biology or genetics, however, the word "ludicrous" is not acceptable in the debate of a topic that is philosophically deep and that has profound impact in the understanding of our behaviors. I do not see a problem with reductionism. We have to accept what we are and not believe what we want to be. Being humble is the very first tool we need to give our marveolus brain to understand our surroundings. Carl Sagan said 2 things: "I do not want to believe, I want to know" and "We are star's dust"
We are the product of our genes, they are not foreign to us or "virus" as you implied I said. Genes created our mind and our mind has to be aware of its own weaknesses in order to avoid autodestruction from our instincts. Education helps a lot in keeping away egoism, ethnocentrism, racism, etc...Species come and go. Genes remain. There are genes hundreds of millions years old and remember that in 1962 and 1983, the human race and its civilization was almost wiped out from the face of Earth after a couple of hundred thousand years of existence. I was talking to someone yesterday and she asked me about how to really be free. As I wrote before in Prisoners, I believe e are not really free, but beings fighting for it, ones more than others. Sometime ago, I read this article in which, among other stuff,the author mentiones what should be the marks of free people. They are the following: Independent thought, rigorous questioning, and rational skepticism. I totally agree that those 3 characteristics will help us differentiate the free person from the prisoner. Today, the expected news about Celebrex finally came out. Vioxx collapsed a couple of weeks ago. Was it not logical that Celebrex would follow the same pathway? After all, they are drugs that work through the same mechanism. However, the corporation had to wait for a couple of weeks, to create a little bit more money. 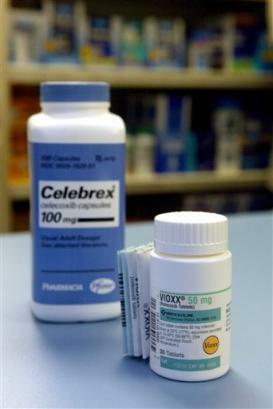 Did you see all those ads to promote Celebrex even after Vioxx had fallen? This only proves my theory that corporations are not only nationless, but humaneless. The glorius end-product of capitalism showed its real face. They will say: "there was no proof until now"
We are heading directly towards the global corporate state, the dream of Mussolini. Conservatives should join liberals in the struggle against fascism, as they did 63 years ago. They should not be part of Mussolini's dream. The limitation of governmental power means the enslavement of people by the great corporations. I have recently added some links to my blog. Please use the "Tell a friend" link if believe other people would appreciate what it is in here. If you want o get daily updates, use the "Subscription" link. If you want to carry conversations not necesarily related to the postings, use "Enter my Forum". This is the year in which the Western civilization was saved from destruction. The Mongols had subdued Russia and the areas corresponding to modern Poland and Hungary. They were determined to go west. The Western civilization was struggling to leave behind the Middle Ages. It was no match for the Mongolian armies, probably the most ferocious warriors in the history of mankind. 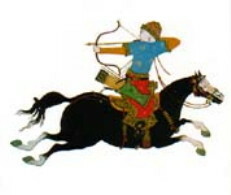 Ogedei Khan, the son of Gengis, suddenly died in Karakorum, Mongolia on December 11, 1241. Batu Khan, the leader of the European expedition was forced to go back to Mongolia for political purposes. Western Europe was spared. The question is. What would have happened if the Mongols complete the invasion of Europe in 1241? Based on their records of destruction of their conquered territories, probably the Western civilization would have suffered a major setback. This would have meant the prolongation of the Dark Ages far beyond the dates we currently handle. Internet, computers?... Probably not in the 20th century. The Chinese might have reached America before the Europeans. I do not know and there is no way of knowing. My point is that a single event can change history. We can always create events, and their significance is not known at the moment they are created. It is always worth to fight for what we believe. We might be making history. The week before the winter solstice was known as Saturnalia in Ancient Rome. A week of complete relaxation, parties, food, pleasure, happiness. The winter solstice was the 25th of December according to the Julian Calendar, the day with the least sunlight in the whole year. The day prior to the solstice, toys were given to the kids in what it was called the Sigillaria. 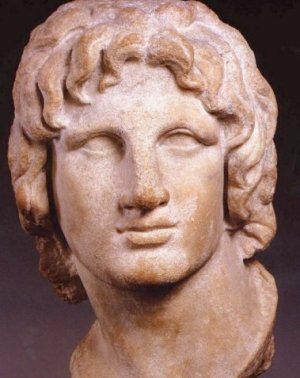 So, the solstice marked the moment of the rebirth of the Sun, Apollo and Mithras in the ancient era, Jesus Christ after the pagan worships were fused with the Christian ones in order to "convert" millions of non-believers. 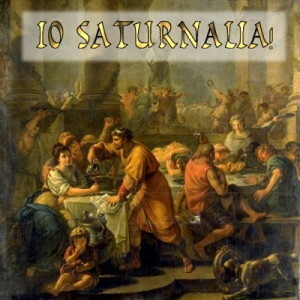 So... Io Saturnalia!! and have fun. I had the chance to see this movie a couple of days ago. I was very surprised at the fact that they showed Alexander's love life as it probably was. In those times, it was common practice to see male to male relationships, what we call now homosexual or gay relationships. I understand that some people might get upset seeing the great conqueror of the world depicted as he really was, a bisexual lover. The fact is that he conquered the world and we are talking about him 2300 years after his death. I would give everything if someone is still talking about me 20 years after my demise. Behavior, social rules, codes of conduct change with time. We have to be flexible to understand that. Our present world is so little compared with the ocean of history and smaller if compare it to the future. As a doctor I have seen many times terminally ill patients decide between them. For the people who is not familiar with those terms, DNR means Do Not Resucitate and Full Code means that a full ACLS (Advanced Cardiac Life Support) protocol has to be started in the event of cardiorrespiratory arrest. It is a complex topic because it involves the patient's beliefs, his or her idea of his or her own death and the interaction with the family. As doctors, we cannot decide for a patient, however, we have to provide honest information with respect to overall prognosis and likelihood of brain functionality after a "code". Furthermore, we can advise the patient what is best for them. The final decision is made by the patient or the family. One of the most rewarding experiences as a physician is to see that the terminally ill patient has understood the process of his or her terminal disease, has grasped the concept of irreversibility and has opted to be a DNR. It means that there has been a healthy and open communication with the health care providers and it ensures a peaceful death. On the other hand, one of the most difficult scenarios for a doctor is the case of a terminally ill patient who, in an attempt to remain attached to life, requests that "everything has to be done to remain alive". 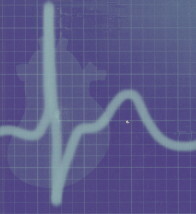 This usually means poor patient-physician relationships in the past associated to deep distrust in the health system. Many times the result of this is a violent death during an ACLS protocol or an artificially prolongued life in an intensive care unit. My point is...if you are a doctor, talk with your patients, be honest and give sincere advise. If you are the patient, or the family, please ask for information and try to avoid the conflicts that lead to suffering and prolongued misery. He is the second person who I want to mention in my blog. But... who is he? He is basically the reason why we are writing blogs, the reason why you are reading them, the reason why we do what we do and the reason why we are not dead or struggling for a miserable life. An example of flexibility, of intelligence and of knowing when to break a rule. I will be brief because I will give you a link. What where you doing during the evening of Sunday, September 25, 1983? Well, that evening, early Monday in the Soviet Union, in one of the computer rooms that controlled the thousands of nuclear weapon-armed intercontinental ballistic missiles, the alarms went off. 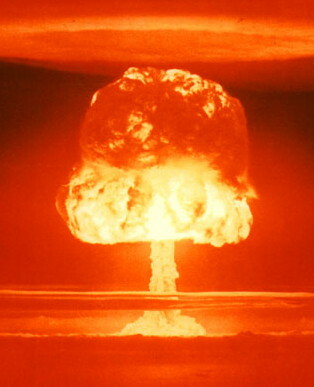 There was a warning that an American nuclear missile was heading towards the Soviet Union. Petrov's duty was to inform the Soviet leadership about an event like this for prompt retaliation. He said to himself "it must be an error, if the Americans were to attack , they would not fire one single missile". Seconds after that reasoning, the alarms went off again. Two, three, four, five missiles were supposed to be heading towards the USSR. There was no way he could prove it wrong since the satellites would only have confirmed it when it would have been too late. He trusted his intuition and declare the event a false alarm. Minutes passed and no nuclear attack was evident. It was a computer error. He basically saved the world from the nuclear holocaust. Another person in his place would have declared the imminence of the strikes and the Soviet Union would have launched their missiles towards every major city in the USA. The USA would have retaliated and the world would have been quite diffrent today. How to explain human evolution to a creationist in seven simple steps. In order for a creationist to understand what we are talking about, first we have to make sure that understand the following concepts: fossils, methods of dating fossils, animals, primates, extinction and slow change. Once they understand, which should not be very difficult, we have to go back 10 million years in time. Fossils dated 10 million years old do not show human remains, i.e, no humans existed 10 million years ago. There are animal fossils, of species we know and of species that are extinct. 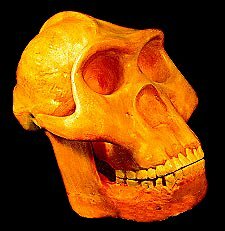 However, there are fossils of primates (creatures that are similiar to apes and humans) which have some humanoid characteristics, although they do not look human at all. The fourth step would not be to bring them to a specific point of time. It would be to explain them that from 5 million years ago till 2 million years ago, the fossils that have been found have a progressively larger skull and they look progressively more human, although they still look more like apes. Our fifth step will introduce them to a species called homo habilis, 2 million years old. Still very similar to apes, but this time its fossils were found close to the first tools, made of stone. They are considered the most primitive form of human beings. The sixth step would be to show the homo erectus which lived until about 400,000 years ago. Now, more human than ape and as similar to homo habilis as they were to homo sapiens. When talking to creationists, remember these important things. - Do not let them interrupt you until you complete the seven steps. - This is not a debate, you are explaining them science found by archaelogists, not your own point of view. - Although you are not mentioning it, keep in mind that there is genetic evidence of our closeness to apes. This will only reinforce the explanations if necessary. - Reassure them in the sense that thay can believe in whatever they want, just ask them not to deny the seven steps. You should let them know that by denying any of the seven steps, the are denying the concepts that thay already have accepted in the first step. I would say it is the plot against education. Something like this cannot happen in Europe. America is allowing (apparently on purpose) the creation of huge masses of poorly educated, easy to handle people. The sexual aspect of it is only the expression of who is dominating. We all are prisoners. Even those who think they are free. Probably they are even more prisoners, if I can use the word as an adjective. But prisoners of what? Who is helding us hostage? The answer to that question is as simple as it is surprising: Ourselves. And how did I arrive to that conclusion? Here it goes. The history of humanity, since we started to live in groups and build societies, millions of years ago is a huge fight against our genes. Every law we have, every moment of education and love, every example of tolerance towards what is different is a great NO to our captors. Every time we care for the sick, every time we express arts is a act of rebellion. They want us live in a jungle where "the survival of the fittest" is the single rule, with the purpose of building better and better reproductive machines. What is the first duty of a prisoner? The first duty of a prisoner is to escape. Whenever we enlighten our minds, whenever we question and whenever we show altrusitic behavior we are escaping from the kidnappers. Closemindedness, intolerance, egoism, ethnocentrism are the signs of the prisoner. I remember being 7 years old, doing stuff that all 7 year olds do: playing around, bugging my parents for toys, complaning about soup. It was around that time, when, accidentally, when I was looking for cartoons in TV (probably Spiderman) that my eyes landed in a TV series called Cosmos. After listening for a few seconds, I forgot everything that was around me and I got hooked up forever in the world of reason. Even for a 7-year-old, planet Earth is a sphere. 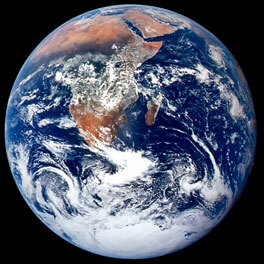 I knew that because the pictures of Earth from the moon were/are quite popular. Although we used to make fun of medieval people because they thought the Earth was flat, we understood them because, we said, thay did not have pictures from spaceships. And then, Carl Sagan, like the best teacher I have ever had, explained me that there was a guy who lived 2300 years ago and that had concluded that the Earth was a sphere. And not only a sphere. He calculated its diameter!! What tools did he use? A stick, the shadows the stick projected and his brain. Later, I found that this man also calculated, with respectable precision, the tilt of the Earth's axis and the distance from the Earth to the moon. I was 7 and asked myself. How can this knowledge could have been forgotten for 1700 years? The destruction af Alexandria's Library came to my mind, but also the pernicious influence of blind faith for humanity. Since then, I decided to ask the question, to find the answer, to seek the knowledge. As Carl Sagan said, perfectly pointed out by Sarah, "I don't want to believe, I want to know". Thanks, Sarah, for taking me back to 1980 and for converting lack of sleep into beautiful memory. A couple of days ago I decided to look into the web to find people who think like me with respect to religion. Being an atheist is what I accept i am, however, I acknowledge that it has a negative meaning for the people. I do not blame them since the prefix "a" means "no" in Greek. For a while I have felt that my ideas are strange in a world full of people who need to revere supernatural beings. Fortunately for me, I found something very interesting. A website with the following URL www.pantheism.net. I was enormously surprised when I saw the pictures of 4 men that I admire: Mikhail Gorbachev, Albert Einstein, Carl Sagan and Stephen Hawking. So I decided to read carefully the site. I saw that their beliefs match almost 100% with mine. Their respect for nature, environment, human rights and life is something I totally agree with. In addition, there is no need for them to believe in an afterlife or in supernatural gods, which they regard them as symbols. I agreed entirely with that. As a result of the coincidences with my ideas, I decided to join them. If you think like me, I invite you to check up the link. Let me know if you find it interesting. Can you not believe in god and be a good person? There is a huge post electoral debate in the US about "moral values". Fundamentalist Christians seem to have taken possesion of everything that is good in human behavior. Lets be very simple here. I will start by defining concepts. The word moral is related to the goodness of a human action, as opposed to immoral which the opposite. A value is a principle, standard or quality considered worthwhile or desirable. So a moral value can be better explained as a principles related to goodness in human actions. Well, if we start there, we can now safely say that being religious, i.e, going to church every Sunday, praying at the dinner table, reading the bible every night does not guarantee goodness in the behavior of human beings. For example, a moral value is truthfulness. We all agree on that. How likely is a religious person to lie compared to a non-religious one?. Another example of moral value is justice. How likely is a religious person to be unfair to someone compared to a non-religious person? I would say that we cannot tell for sure. But what I can tell for sure is that the likelihood of a religious person discriminating a non-religious person is greater than the likelihood of a non-religious individual discriminating a religious one. This would go against the moral value of equality, the one that says that all of us are equal. Someone who does not believe in god, in many cases believes that all people are equal and understands the real meaning of a moral value is. If religious people decide as a group to be more tolerant, then they will embrace the moral value of tolerance and add one to their list. People who do not believe in god, can be good people. Why is that so hard to make people understand? Is there a best way to die? Well, if there is, this man died how I would like to die: fighting. But not fighting for himself. Fighting for others and for the ideal he pursued. Fighting against the divisive forces of fascism. He had time to let us know what he was going to do. There is a radio address to the Chilean nation while his palace was being bombarded by Pinochet's forces during the coup d'etat in September 11, 1973. In that address, he outlined his ideals and how he saw a better future. He was democratically elected President of Chile in 1970. He was the first Socialist president of that country. Before the elections, he competed for the candidacy of the Popular Unit with the great poet Pablo Neruda, his friend. Such was the friendship that Neruda stepped aside to let Allende run for the Socialists and, eventually, be the president. His government was marked by continous harrassment from the fascist elite, allied with the military and with foreign powers. Finally, the tragic day of the coup, he died. With him, the dream of millions who wanted a more equal society also died. 12 days after, Neruda passed away. His body and his immortal mind refused to live under the fascist dictator. ...My words are not spoken in bitterness, but in disappointment. They will be a moral judgment on those who have betrayed the oath they took as soldiers of Chile...They have the might and they can enslave us, but they cannot halt the world's social processes, not with crimes, nor with guns...May you go forward in the knowledge that, sooner rather than later, the great avenues will open once again, along which free citizens will march in order to build a better society. Long live Chile! Long live the people! Long live the workers! These are my last words, and I am sure that this sacrifice will constitute a moral lesson which will punish cowardice, perfidy and treason.